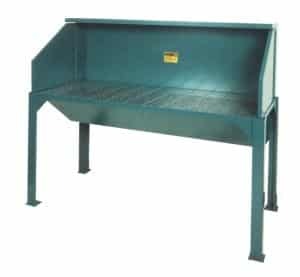 Heavy duty Downdraft Tables are built specifically for grinding and sanding operations. Grated top draws dust away from the operator. Small roll-around system has a 30”x30” deck and is in use on hundreds of different applications. 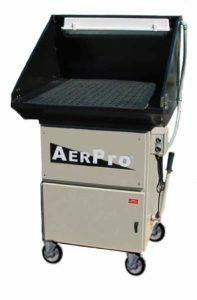 Includes integral filtration system with shaker bags, 1.0 hp, single-phase motor with switch and cord, back panel and hinged side panels, and 24” fluorescent light. Exhaust is silenced internally! Larger systems include pulse jet cleaning and lengths up to 72”. Stand-alone tables are available in several standard sizes, or we will build to a custom size. Available deck materials include perforated steel, steel bar grate, FRP bar grate, and wooden bar grate. Rubber mats are also available for scratch resistance. 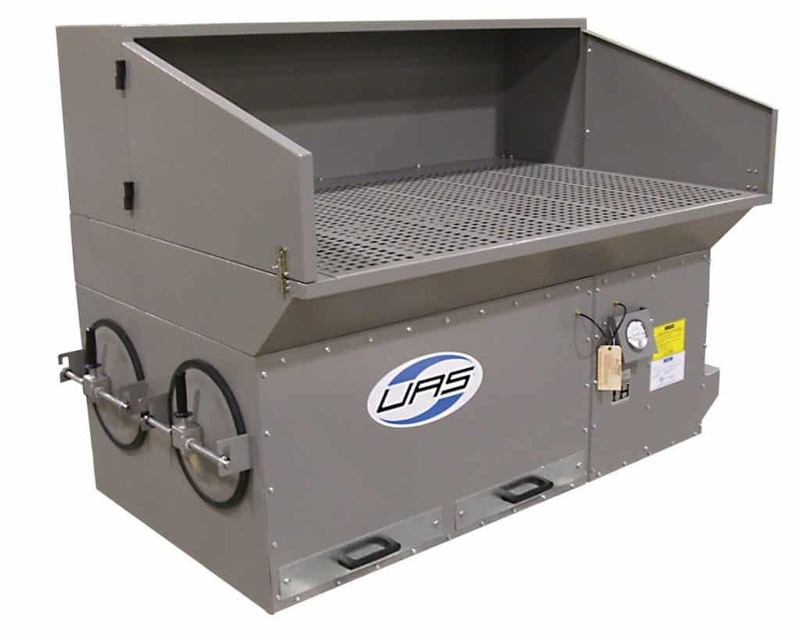 Tables can be ducted to any dust collector.